Looking for a USED PPEC-4 - 50/20? 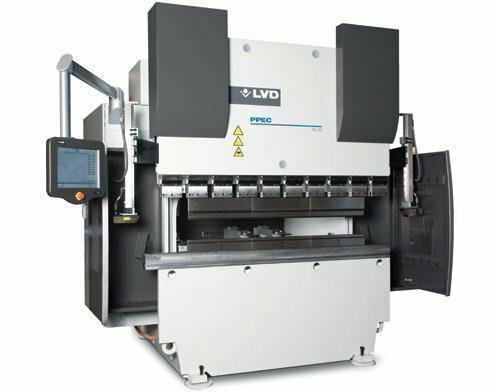 the lvd group of companies is recognized worldwide as a premier source of state-of-the-art metalforming equipment. noted for its turret punch presses, press brakes, laser cutting systems, shears, cadman® software, folding machines, tooling, and flexible manufacturing systems, the lvd group is dedicated to a single purpose: supplying customers with the best technology, in the most reliable equipment, to make their jobs easier and their businesses more profitable. our commitment to on-going innovation, constant quality improvement, and listening attentively to our customers' needs is the key to our success. working in partnership with our customers and striving to solve their application needs, the lvd group leads the way in developing products that meet market demands and enhance the future of metalworking technology. 130 ModelsView more about LVD / Strippit Company n.v.